CAPD: Central Auditory Processing Disorder, sometimes also just Auditory Processing Disorder, is a condition that affects a child’s ability to process what he hears in the same way other kids do because his ears and brain don’t fully coordinate. Something interferes with the way the brain recognizes and interprets sounds, especially speech. Some kids with this problem are very sensitive to loud noises They will, when very young, cry if there is nearby thunder. Fireworks? No, no, no. Not fun for a child who has CAPD. It’s very easy to confuse CAPD with ADD or ADHD. (You know, I truly dislike writing in acronyms!) Some of the symptoms are the same. The thing to watch for is whether or not the child mixes up sounds even if they are clearly pronounced. Now, don’t get all flustered. All kids mix up sounds when they are first learning to talk. It’s hard for them to distinguish S from F, for instance, or B from D. Often, they come up with some pretty cute, funny, or embarrassing mistakes. But as time passes, these mistakes go away. A child with CAPD? The mistakes remain. Background noise is a problem. Big crowds, noisy kids in a cafeteria at school, loud music in a restaurant, can all make it very difficult for someone with CAPD to hear clearly. Feeling stupid, they learn to pretend they’ve heard and to just nod or smile rather than trying to answer. Only 5% or so of kids actually have CAPD. There is help. Here is a good website if you think your child–or maybe your spouse or other relative–may have this disorder. Sometimes, just understanding it goes a long way toward living with it. Dyslexia. Most people these days know what it is on a surface level. but those who actually have it know that it goes much farther than simply transposing letters when reading. I could actually do this whole post with graphics. There are hundreds of them on Google images if you want to take a look. My point is that dyslexia affects far more than just reading. 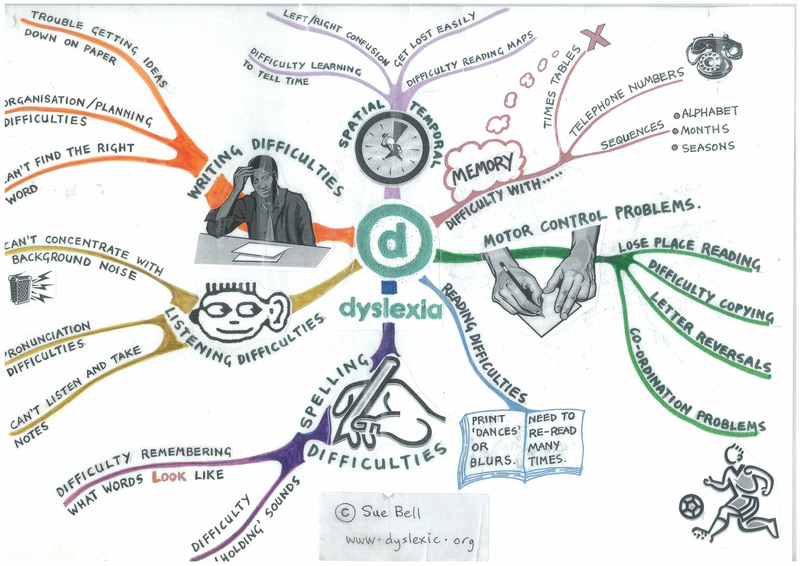 Here’s a symptom list : http://www.dyslexia.com/library/symptoms.htm. You really should take the time to go look, especially if you or someone in your family has dyslexia. 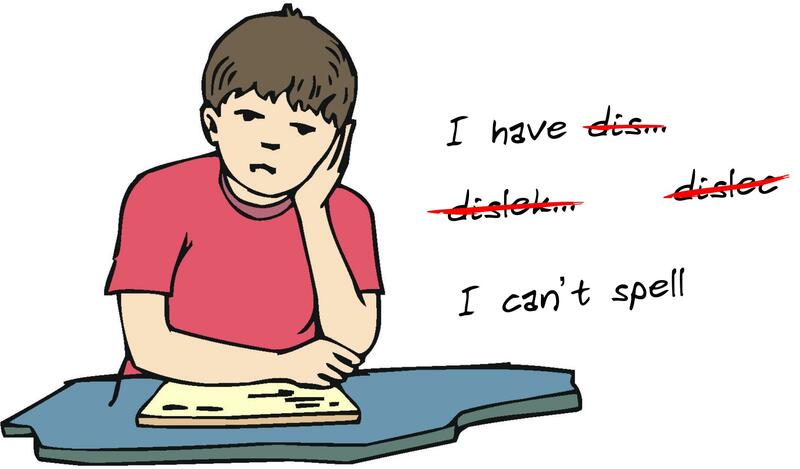 The good news is that dyslexia is neither terminal nor a guarantee of failure in life. I’ve taught many students who had some degree of dyslexia. Almost without exception, they were bright and creative kids. Not everyone thought so because those kids didn’t fit into the cookie cutter. They weren’t in the top reading group. In fact, there really was no reading group at all that fit their needs. Sometimes, these students become so discouraged that they hide behind a wall of anger, apathy, hopelessness, and a firm belief that they are stupid. You know, in my teaching years and now in counseling, I’ve rarely met anyone who is truly stupid. I find that word so offensive. It is usually used against someone who simply disagrees with you, or can’t do something as well or as fast as you can. It’s not surprising when someone who has been labeled as stupid turns into a behavior problem, taxing the patience of Job himself. Teachers rarely have the time to give these kids the time and attention they need to be convinced that they CAN learn, and that there is joy in learning. Okay, enough of the rant. Let’s talk about some practical interventions. I’m assuming that if you’ve read this post to this point, you’re interested enough to go look at the website I gave you listing symptoms. Now, some solutions. First and most important, educate yourself about dyslexia. Don’t depend on the school to be the only place your child gets help. If you know and understand your child’s dyslexia, you will be able to provide homework help from a different perspective. You will have more patience with the child. You will begin to see how creative he can be, and that there are talents hidden in there that have never been tapped. Two weeks ago, I wrote about ADD. A friend on mine posted about the discovery of using blue paper to help dyslexics. I thought I had saved the link so I could use it today, but I can’t find it. Kathleen, if you’re reading this, please give me that link again in the comments. Please understand that I can only scratch the surface here. There is a ton of information out there if you truly want to help your child, or if you are an adult and struggle with dyslexia. It is less of a stigma, these days, for which I am very thankful. Many famous and successful people have it. You are not alone. There is help. A reader asked me last week if I’d written anything about ADD. I thought I had, but couldn’t find it, so for the next few weeks I’ll be addressing that along with a list of other disabilities both well-known, like dyslexia, and not-so-well-know, like dysgraphia and dyscalcula. Today we’ll focus on ADD/ADHD, which I’ll be referring to as simply ADD from here on in. The new Diagnostic and Statistical Manual (DSM)has omitted ADHD and lumped it all together under ADD. At first I was unhappy about that, but really, it’s all one thing with a couple of different aspects. ADD symptoms include trouble focusing, hyperactivity, and impulsive behavior. I’m going to be speaking for a while from my experience as a teacher, when I got my first real exposure to ADD and other learning disabilities. Going all the way back to 1952, when I started kindergarten, there was no recognition of learning disabilities. I never heard the term until I was in college, and it was passed over lightly. The general attitude was, “Oh, Johnnie/Susie just needs to pay attention. They’re lazy, undisciplined, rebellious.” And those children struggled through 12 years of school feeling inadequate, stupid, and like the odd man out. I’m glad we’ve grown beyond that thinking. At least, most of us have. Sadly, there is still a segment of educators who do not accept the existence of learning disabilites (LD), and will make to allowances for them. But the number of teachers like that is decreasing, and I’m glad. If you’ll glance at the symptom list above, you’re probably familiar with most of what you see. Kids with ADD have a terrible time staying focused on the issue at hand unless–big paradox here–they are intensely interested in it. If that is the case, they are able to shut out everything else. There could be an earthquake under their feet and they wouldn’t be aware of it. A parent can call to them several times and they will not hear. They’re not being disobedient every time this happens. Sometimes, probably, but they really do drift away from the world around them and it can be very hard to bring them back. This is especially true if their interest lies in electronics. There is something mesmerizing about video games, tablets, X-Boxes, and so on. ADD does not always include hyperactivity. Often, it is simply a drift into another world. It can be triggered by something as simple as a word spoken by the teacher or parent that sends a kid’s brain off on a rabbit trail. When he comes back to earth, he realizes he’s missed something that was probably important, but he’s learned not to ask the teacher to repeat. That usually doesn’t end well for him. I have pictured this type of ADD behavior as a balloon that gets blown up and then let go, and it bounces all over the room as the air is expelled. There’s no controlling its action. When it’s empty, it just kind of settles somewhere and looks pathetic. People with ADD can be impulsive. Things blurt out of their mouths practically before they know they were thinking. Or their interest can be grabbed and they’ll drop whatever they’re doing to pursue that. They leave things unfinished. They don’t put things away. My husband was diagnosed with ADD several years ago. It cleared up a lot of things for me that annoyed the daylights out of me. I still get annoyed, but now I understand. For instance, if he’s working on the computer, writing down lists, websites, and so on, the list will stay right where he leaves it when he goes to make a snack, which takes him to the kitchen where he gets involved with maybe emptying the dishwasher, which makes him think of something he needs to do in the basement, which will take him outside to the shed to get a tool, which reminds him he needs to check the oil in the car. . . . .and the mess he left on the computer desk remains there until I need the computer and move his stuff aside. Remember Billy from The Family Circus? Another feature of ADD than can be easily miss-identified is a tendency to moodiness. Sometimes the assumption is made that the person has Bipolar Disorder, but it’s really just ADD–which is a lot easier to deal with. Okay, I could spend a lot of time just describing the life and times of people with ADD, but I want to focus for a few minutes on coping skills. First, let’s talk about medication. Is ADD over-medicated? Oh yes, without any doubt. After all, it’s the easy fix for the parents, teachers, and even the kid himself. There are, however, other tools and resources that are helpful without medicating a child into a different personality. I hated to see zoned-out kids coming to my classroom, because the medication robbed them of their creativity and quirky brain patterns. Yes, it helped them concentrate. Sometimes the results were outstanding, and I am not totally opposed to the careful use of medication. I have learned, over the years, that one of the best helps for ADD is to have an orderly, non-chaotic home in which there are boundaries and consequences. The child with ADD needs to learn how to deal with his problem. As an adult, he’s not going to get special allowances made for his LD. He’s going to have to figure out how to do his job without wandering all over the place chasing rainbows. At some point, this child is going to need to learn some coping skills that will carry his often-gifted intelligence into useful work and family life. He will not always be a child whose parents and teachers will protect him with special learning plans and a bottle of pills. For example, back to my longsuffering husband, who doesn’t mind at all when I use him as an illustration. He would start his day by jotting down tasks on a piece of paper, fully intending to follow his list. 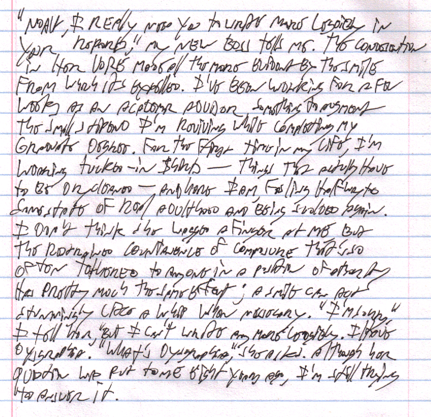 Of course, the paper was almost immediately lost, and off he would go in his usual erratic patterns. One day, I bought him several little pocket-sized flip-top tablets, and suggested he try writing down just one task on each piece of paper, tearing it off when the task was finished. Then he could go on to the next thing. One of his problems was that, in his work, he was often called away from what he was doing to cover some sort of emergency, and then he’d forget what he’d been doing before. The tablet method kept him on task. He loved it, and still uses it. When I was teaching, I used to put my LD kids in a sandwich between me and his parents. He brought his assignment pad to me after class, wrote his homework assignment, which I then signed and dated. At home, his parents checked what the assignment was, then signed off on it when it was finished. This works only if the teacher and the parent are diligent and demand to see the notebook. The kid will not remember to offer it. He will also probably not remember to put it in his backpack to go back to school the next day. The parent will need to supervise that for a while until a habit is formed. Sometimes it helps to post a checklist that the child will see just as he goes out the door. I recommended to one frustrated mom that she make a big red STOP sign on the door, with a checklist at the bottom. Visuals are very important for ADD kids. Words will go in one ear and right out the other. Bright, clear graphics are more likely to grab their attention. Today, there are many resources to help you help your ADD child. Your local library is a good place to start looking. The internet is invaluable. Other parents have dozens of good, helpful ideas that they’ve shared by way of blogs. Easy to find, too. I just typed “parents find ways to help ADD kids” into my Google search, and came up with pages and pages of articles. Please don’t give up in despair. These kids are often highly intelligent and gifted in some area. My husband is a genius with his hands. He can figure out how a thing works, take it apart, fix it, and saves us bundles of money. He has recently remodeled my kitchen, almost completely without professional help. The only thing he didn’t do was cut and install my new granite counter tops. There was some wonderful help from friends, but Terry was the brains behind the building. In nearly 47 years, I have never, ever called a repairman of any kind. Terry does it all. And he does it very well. His ADD slows him down sometimes, but his natural intelligence and giftedness are amazing. ADD doesn’t have to ruin your child’s life, or yours.